LINCOLN — For the first time in about seven years as a wind developer, Sandhills Energy President Eric Johnson finally has an answer to the question he most commonly gets asked: What happens to wind farms when they’ve reached the end of their useful lives? 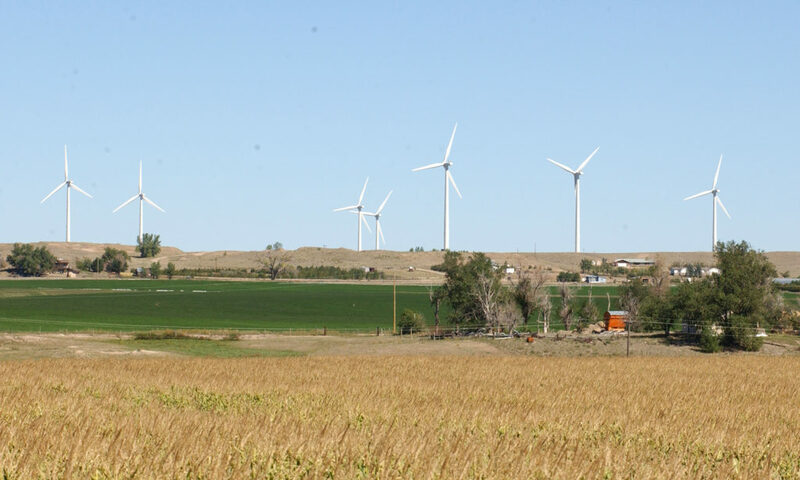 At least in Kimball, Nebraska, where Johnson’s company is working with a Lincoln-based general contractor to decommission the state’s first utility-scale wind farm, the answer is to build a bigger, better wind energy project. Read more here. This entry was posted in Nebraska / Midwest News, NewsBlog and tagged Cole Epley, Eric Johnson, Kimball Wind Farm, Omaha World Herald, Sandhills Energy on November 15, 2017 by Helen Deffenbacher. Sandhills Energy was the original developer, Aspenall Energies purchased the project from Sandhills this past August, according to John Brown, Chief Development Officer of Aspenall Energies. Brown addressed the Kimball County Commissioners [on] Tuesday, Sept. 25, in a special meeting about the project and what the intentions for the Kimball community are: clean technologies and impact into the rural community are the goals for this newly generated energy. Continue reading. 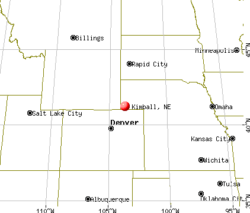 Photo: Kimball is the county seat of Kimball County, Nebraska. The 2016 census shows a population of 2,400. This entry was posted in Nebraska / Midwest News, NewsBlog and tagged Aspenall Energies, Kimball, Sandhills Energy, wind energy development in Nebraska on October 10, 2017 by Helen Deffenbacher. A developer with Sandhills Energy LLC., came before the Cheyenne County Commissioners Monday to request permits granting solar utility transmission. Chuck Hassebrook, Vice President for Project Development with Sandhills Energy came before the board to request permits for a project he projected could bring in $150,000, over 30 years, in tax revenue for Cheyenne County, while creating a few permanent jobs. The project is a 40-megawatt solar [array], located two miles north [of] Sidney. Hassebrook said the project would take 50 million dollars to build. Continue reading. This entry was posted in Nebraska / Midwest News, NewsBlog and tagged Chuck Hassebrook, Nebraskans for Solar, Sandhills Energy, solar energy development in Nebraska on December 9, 2016 by Helen Deffenbacher.